A Preschool Bible Lesson teaching kids that God wants them to serve Him and be helpful! 1. Play a game of duck-duck goose, but instead of saying “duck, duck, goose” have the kids say, “I choose you” when they tap the head of the person who they want to chase them. Have lots of fun with the game. When you finish playing, say: It was fun being chosen, wasn’t it? When you were chosen, you got to run around the circle! You had a special job! Today we are going to talk about some people who were chosen to do a very special job – and how God chooses YOU to do special jobs for Him, too! 2. Play a game with the kids using a playground ball, the kids and their imaginations! Have the kids stand in a circle. Then throw a playground ball at one of the kids, who is supposed to try to catch it. Once he catches it, say, “I choose you to ________________” and then give him an instruction. He then does that instruction and throws the ball back to you. Throw the ball to someone else and continue the game. If the kids are able, you could have them throw the ball to another child and give the instructions. I choose you to jump up and down. I choose you to spin around. I choose you to clap your hands. I choose you to act like a monkey. I choose you to count to five. I choose you to stand on one foot. When you finish the game, say: How did it feel to be chosen to do something special? God chooses each one of you to do something special, too! He chooses you to serve Him! Do you remember that Jesus had a very special team of 12 people called disciples? These 12 people were very busy after Jesus went back to heaven! They were telling people all about Jesus and helping to get more and more people on Team Jesus! But they were really, really busy. One day, some of the people started to complain because there were jobs that weren’t getting done. There were women who were not getting the food they needed each day. The people went to the 12 disciples, but the disciples were really busy telling people about Jesus. They didn’t have time to make sure that everyone was getting fed! What could the disciples do? The disciples decided to CHOOSE some people who would serve God by helping with the food! They gathered everyone together, and then they chose 7 men who would do this job. Can you count to seven? (Count to seven). They prayed for these seven men and then gave these seven men the job of helping to make sure the food was given out to everyone! God had a special task for these seven men! God CHOSE these seven men to serve him! Guess what? God CHOOSES YOU to serve Him, too! What can you do to be helpful – just like these seven men were? Give each child a plate. Say: The seven men made sure that all the people got the food they needed. This plate is going to remind us of that. Let’s draw some pictures of ways on this plate that we can be helpful and serve God. Help the kids draw ways they can be helpful – just like the seven men in today’s lesson. Then pray a short prayer asking God to help them serve Him, too. 1. Put a few different snacks in bowls. (Have a serving spoon in each bowl and make sure the kids use the serving spoon to get the food out of the bowls.) Give the kids a plate and tell them they are going to “serve” one another food! Have each child go to a bowl and “choose” seven items from that bowl (7 crackers, 7 grapes, 7 strawberries, 7 fruit snacks . . . whatever you decide to offer). They then give their plate to someone else – serving them just like the seven men in Acts served the widows in the church! 2. The 7 men who were chosen to serve God on that day were very helpful in the church. There are a lot of ways that we can be helpful in the church, too! Take a field trip with your class around the church. Show them different ways that people can help in the church. For example, if your church has a food pantry, take them to the food pantry and talk about how people can bring in food to help others (just like in the early church!). Take them to the janitor’s closet and talk about how people can help by cleaning the church. Take them outside and talk about how people can help by pulling weeds. You could even have the kids pull some weeds to be helpful! 3. Help the kids fill out one of the printables here. Talk about how they are special and the different ways they can serve God! 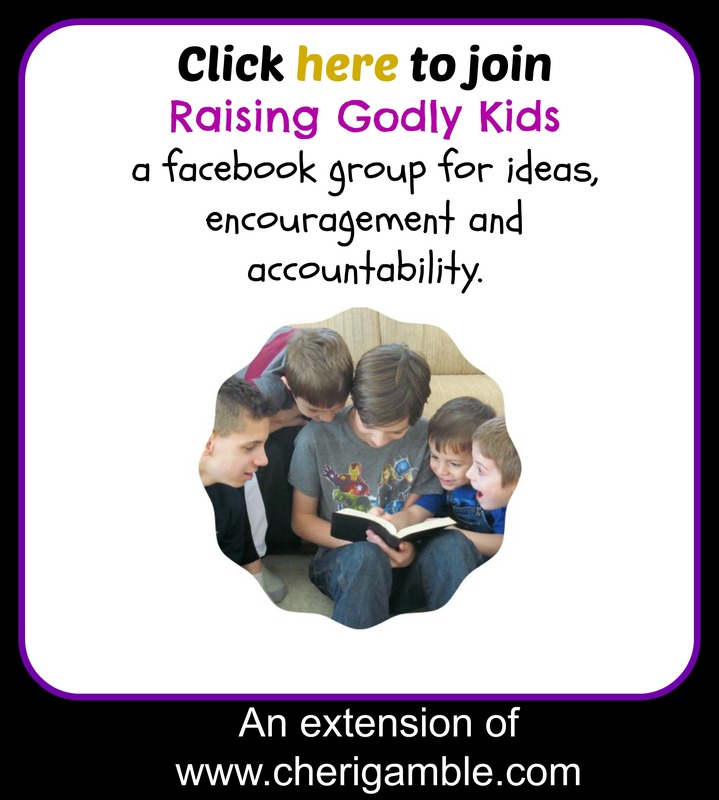 I hope you enjoy these free Bible lessons and that you are able to use them with your kids! If you do use these, please check out the other Bible Studies & Curriculum available from Ministry Mom Books.